There are a total of 213 local and national banks offering banking services for citizens in Ohio with 3476 branches in 640 cities. Below you can find the list of top 40 largest banks in Ohio ranked by number of branches. You can click the logo of a bank to view the list of all offices. 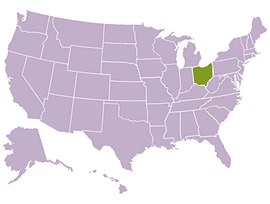 The largest banks in Ohio with most branches are: Huntington Bank with 457 offices, Fifth Third Bank with 323 offices, PNC Bank with 311 offices, U.S. Bank with 273 offices, Chase Bank with 253 offices, KeyBank with 214 offices and Park National Bank with 107 offices.